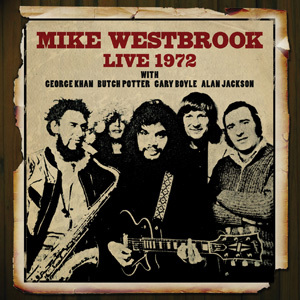 Mike Westbrook was a key figure in the development of British jazz in the 1960s. He has released dozens of albums over the subsequent decades and is still working today. This album, now receiving a worldwide release for the first time, is being issued on Hux Records with the full approval of Mike Westbrook, who has written the liner note and provided the band photograph for the cover booklet. This CD has been remastered by Jon Hiseman of Colosseum. As Mike Westbrook recalls in his liner note for this CD booklet, this band only existed for a few weeks at the beginning of 1972. By the time of his studio album, Solid Gold Cadillac, his band personnel had changed. "It is the infectious music that doesn't seem to begin or end. It whisks you away into a pulsating, kaleidoscope dream of world sounds, bursts of noise and quiet, unnerving spaces. Then suddenly the melody is back, like a familiar turning in the road." Esther Ripley, The Tavistock Times, Jan 21st 1972. Tracks 3 & 4 are previously unissued performances.